Our practice carries a wide variety of contact lenses, sure to meet the needs of our patients. We offer the latest in daily disposable lenses, contact lenses for astigmatism, multifocal patients as well as dry eye patients. ​ During your contact lens exam our doctors will evaluate the corneal surface and external health of the eye . Our doctors will help you choose contact lenses based on your prescription and daily needs/requirements. We reccomend patients try the contact lenses for a week before purchasing a year supply to ensure the lenses are meeting all your lens needs. Our goal is for our patients to achieve clear and comfortable vision. Our offices offer a variety of frames and designers. 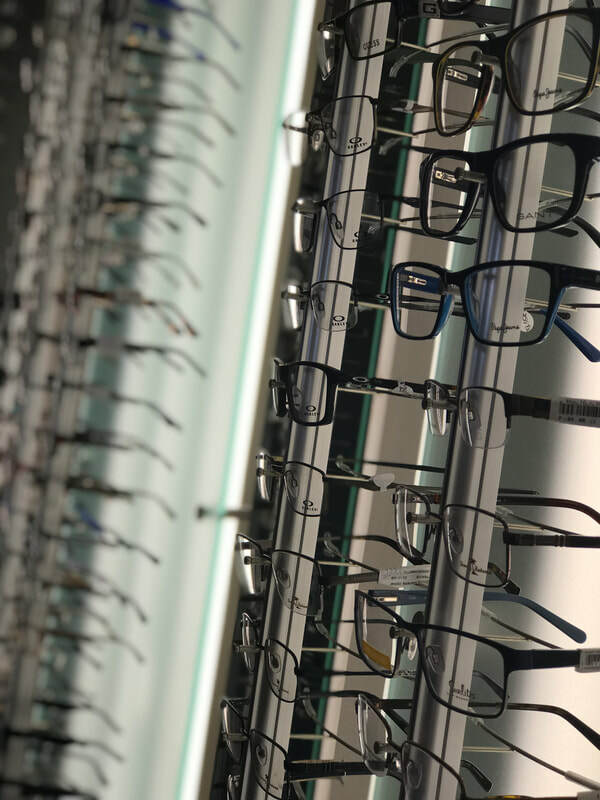 We offer styles for men and women as well as children's frames. Our sunwear line offers designer frames as well as sport sunglasses.